We spent most of this weekend under a winter weather advisory and we had our first major snowfall! We were projected to get 15-20cm of snow yesterday. 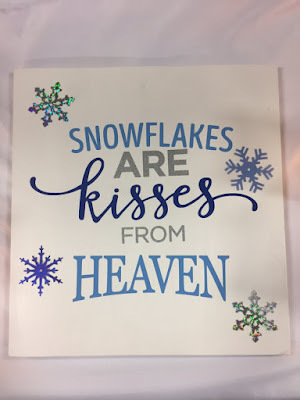 I say that I don't mind snow...I like to have snow for Christmas and I like having four distinct seasons...but snow can make for some challenging driving/travel conditions. When we get into winter weather, I frequently say to family and friends that I am making plans with "it depends on the weather". All of my plans become tentative because of the weather. 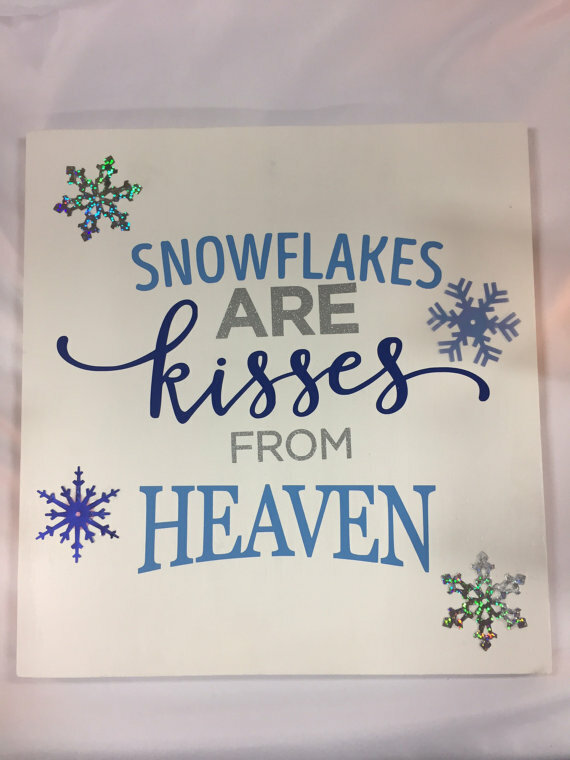 From now on, I am going to remind myself that "snowflakes are kisses from heaven" and hope it makes it a bit easier to deal with all of this snow we are supposed to get this winter.